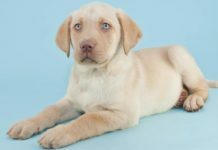 Home Breed Information What Kind Of Dog Should I Get For My Family And Lifestyle? Do you want a furry companion, but just can’t decide on which dog is the right one for you? There are over 300 breeds and an almost infinite amount of mixed dogs to choose from. So deciding, “which dog is for me?” is understandably difficult. 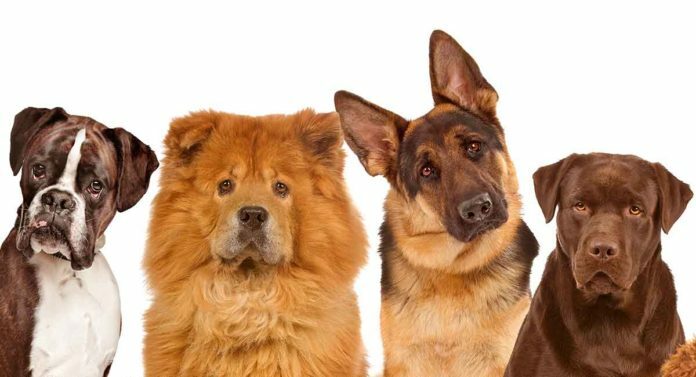 In this article we’ll look at ways of assessing how suitable different dog breeds will be for your living situation and lifestyle. We’ll also offer some examples of popular breeds and mixes. What Kind of Dog Should I Get if I’m a First Time Owner? If this is your first time owning a dog, then finding which dog breed is the right one can be really overwhelming. Luckily each breed is fairly predictable in terms of things like temperament, size, shedding, and energy level. There’s no question that some dogs are easier to look after than others. If this is your first dog you may want to consider breeds who have a laid back temperament and take to training without too much trouble. 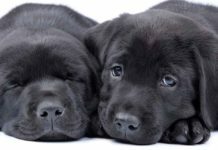 Labrador Retrievers are extremely popular for having both of these traits. Independent, cautious, or highly sensitive dog breeds are best avoided by first time dog owners. What Kind of Dog Should I Get if I Have Other Pets? If you already have a dog, a cat, or other small pets in the home, finding the right match is crucial for everyone’s peace of mind. Generally speaking, dogs that are close in age and size have a better chance of getting along. That’s not to say that a Great Dane can’t be friends with a Maltese, but it does increase the risk of injury for the smaller dog. And a senior dog, may not have the patience to put up with a puppy. Some breeds were bred to hunt, and there’s a good chance that they’ll see smaller animals as prey. If you have a cat and want to bring a dog into the mix, consider one of the friendlier toy breeds like the Pomeranian. What Kind of Dog Should I Get if I Have Young Children? Some breeds bond better with kids. It’s best to avoid small dogs, particularly toy breeds who are very fragile and can be easily hurt if mishandled. Little pups may act out if they feel threatened. Larger breeds like the patient Newfoundland make better companions with little ones in the house. Although supervision is needed and children must be taught how to treat pets properly. What Kind of Dog Should I Get if I Live in an Apartment? When it comes to living in smaller spaces, size isn’t necessarily the most important consideration. Some small breeds are simply too active and prone to barking to be suitable for the apartment lifestyle. Instead look for breeds who are quiet and calm with low to medium energy levels. Which Dog is Best for Me if No One is Home During the Day? Dogs are social animals who love spending time with their family. 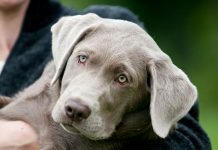 But since many of us have daytime obligations, there are some breeds who can handle being left alone for longer periods than others. That doesn’t mean that any dog should be on their own for long periods. Puppies especially need plenty of attention and time spent to train and socialize them. Separation anxiety is a major issue for many breeds. This can mean coming home to chewed-up shoes and scratched furniture. When asking yourself, “which dog breed is for me?” being honest about the amount of time you have to dedicate to a pet is important. Which Dog is Right for Me if I Want a Dog for Protection? Some dogs offer more than companionship. There’s no question that some breeds can bring security to your home and property. German Shepherds and Doberman Pinschers are popular for protection roles. But make sure that they’re extremely well trained. You want them to be threatening to intruders, but not to guests or neighbors. 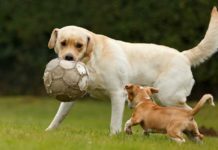 Which Dog Breed is Right For Me if I’m Very Active? While almost all dogs like to run, if you’re a jogger, hiker, or otherwise like to spend time outdoors, there are some pets to avoid. Dogs with flattened faces are known as brachycephalic breeds and unfortunately due to their conformation they just won’t be able to keep up with you. These dogs often have difficulty breathing and can easily overheat if exercised too much. 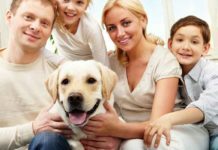 You may already have a personal preference in terms of breed size, but as you can see there are numerous things to consider when deciding which dog breed suits you and your family the best. cost of the dog and weekly expenditures. Here’s a selection of some popular breeds and mixes in various sizes, with different requirements. We’ll look at their background and health history, in addition to how well they’ll adapt to different living situations. Which Dog Should I Get if I Want a Small Dog? You may be surprised to learn that these sweet little toy dogs were originally ratters and hunted animals that lived in dens and burrows. At just 7 to 8 inches, they were the perfect size for getting into tight spaces. Although their long, silky hair doesn’t shed much, it does require daily brushing. Their diminutive size makes them well-suited for apartment living size-wise, but some Yorkies can be prone to barking. These feisty and affectionate dogs are best suited to homes without small children. Yorkshire Terriers should be health checked for eye anomalies such as progressive retinal atrophy and luxating patella. Legg‐Calve‐Perthes disease, tracheal collapse, and hypoglycemia also affect the Yorkie and many other small dog breeds. Once the pampered pets of European nobles, that all changed for the Bichon Frise during the French Revolution. With their owners in jail, these peppy and playful little pups had to fend for themselves. Intelligent and agile, they were able to earn their living as performers on the streets and in the circus. The primary ancestor of today’s Bichon Frise was the Bichon Tenerife, a favorite of sailors. This may be why the breed is such a great traveling companion, making them a good fit for those who like to get away. In fact, these adaptable dogs do well in just about any living situation, provided they’re not left on their own too much. The friendly Bichon Frise is also a good choice if there are other pets in the home. Standing just shy of a foot tall, they’re small but sturdy and instantly recognizable for their fluffy, rounded head. eye diseases, such as cataracts. Combining the gentle Cocker Spaniel with a proud Poodle gets you the incredibly popular mix known as the Cockapoo. Depending on whether the Poodle parent is a Toy, Miniature, or Standard version, the cross can weigh from 6 to 30 pounds. These two dogs have similar origin stories. The Cocker Spaniel was a bird hunter; the Poodle, a duck tracker. Today these dogs are known for being low shedding, highly intelligent, easy to train, and very active. Although mixed breeds are often touted for being healthier than purebred dogs, they are susceptible to conditions that affect either parent. affect both the Cocker Spaniel and the Poodle. 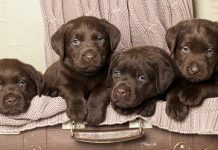 Which Dog Breed Should I Get if I Want a Medium Sized Dog? Bred to hunt in packs, the always friendly and curious Beagle has a strong inclination to chase and hunt prey. This means they get along great with other canines, but if you’ve got small pets, consider this a mismatch. Their instinct to follow their highly attuned nose can make training difficult, so first time owners beware. They also require plenty of exercise and attention and can become destructive if either of these requirements is lacking. Enormously intelligent, highly agile, and extremely obedient, Border Collies are often called the world’s greatest herders. Apartment dwellers, first time owners, and couch potatoes take note; this is not the dog for you. 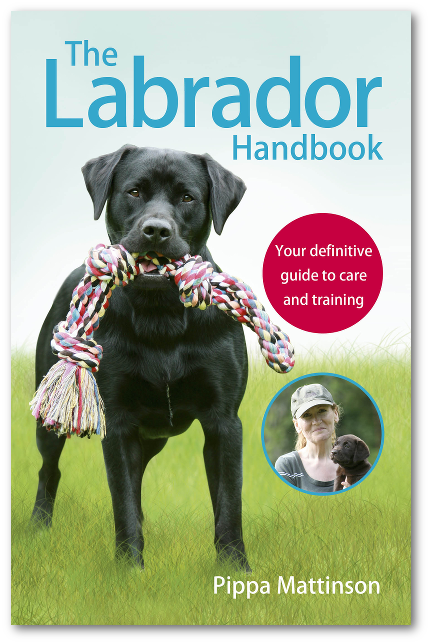 Border Collies need both lots of physical and mental stimulation on a regular basis and are ideally suited to very active families. What Kind of Dog Should I Get if I Want a Large Dog? Originally bred to be the perfect gundog, today Golden Retrievers are one of the world’s favorite family pets. With their glorious golden coat, kind temperament, and friendly and intelligent eyes, it’s not hard to see why. They’re eager to please, responsive to training, and get along with everyone, including other pets. However, these dogs aren’t suited to every living situation. They are excessive shedders and need regular grooming. Goldens can be exuberant and need plenty of space both inside and outside. Sadly these dogs are also at risk for quite a lengthy list of health problems. affect the breed as well. One of the world‘s most popular mixed breeds was also one of the first designer dogs. A Labrador Retriever was crossed with a Standard Poodle in the hopes of creating a guide dog who wouldn’t shed for a blind lady whose husband had allergies. The result was the Labradoodle who has become known for their intelligence, friendly, easy-going nature, and compatibility for those with allergies. These dogs can be quite energetic and should have access to a fenced yard. One of the largest dog breeds in the world stands almost three feet tall at the shoulder. These regal dogs are truly gentle giants. Once used to hunt ferocious wild boars, they later were employed as guard dogs for German nobleman. They still make great protectors today, but are just as happy lounging around the house. Great Danes aren’t terribly energetic, but will still require regular exercise. Needless to say, they also need plenty of space. Bloat is the number one killer of the breed. There are many different dogs to choose from. And while each breed was created for a specific purpose, it’s important to remember that every dog is an individual. While there are many variances between different breeds, there are also some overall similarities. No matter what dog you choose, they will require time dedicated to training, socialization, and exercise. If you have young children, they should be supervised around animals. Sometimes it’s for the child’s protection, other times it’s for the dog’s safety. While it’s true that some breeds are needier than others, the bottom line is that when you bring any dog into your life, they will need attention and care. Careful consideration is important because many dogs end up in shelters when the fit isn’t right. Oliver, “Survey of ophthalmic abnormalities in the Labradoodle in the UK,” Vet Rec., 2012.